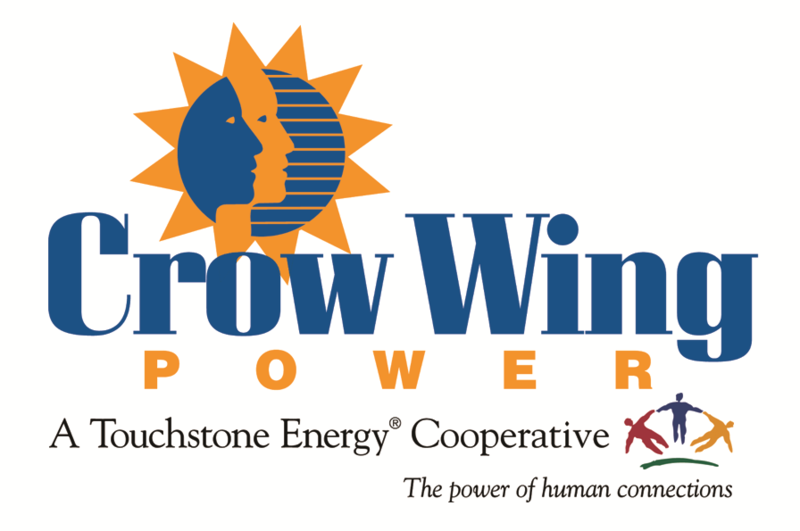 Crow Wing Power works year-round to make sure we’re ready to respond to power outages. When severe weather is predicted, our trucks are stocked and our crews are ready to roll if an outage occurs. Back at headquarters, our team monitors our system 24/7, so if your power goes out, we can start working immediately to get you back up-and-running. Power outages are never convenient. It takes a lot of hands to keep your power on and even more hands to get it up and running when an outage occurs. Your cooperative works hard to restore your electric service when outages occur, but there are necessary steps to take to ensure that power is restored to members as quickly and safely as possible. High-voltage transmission lines feed power from generation plants to distribution substations. They seldom fail, but they can be damaged by ice storms, tornadoes and hurricanes, preventing other parts of the system from providing power to members. Because each high-voltage transmission line can serve tens of thousands of people, repairs at these sites take top priority. Substations get power from transmission lines and carry it safely, at a lower voltage, for distribution to communities that serve thousands of consumers. A problem that can be fixed at a substation means thousands of people get their power back all at once. The distribution lines carry electricity from substations to groups of customers, like neighborhoods. When these lines are repaired, power can be restored to the homes and businesses along those lines. Again, repairs are prioritized by the number of members who can benefit. When others near you have their power restored, but yours is still out, it may indicate damage to a service line. Service lines deliver power to the transformers—either mounted on poles or placed on pads for underground service—that serve individual businesses, homes and schools. If you still have no power after your neighbors’ lights come back on, contact your co-op, so a service crew can check the service line. After a storm, Crow Wing Power committed to restoring your power as quickly and as safely as possible. For those who want to help in that effort, here are some do’s and don’ts to keep everyone—the public and the repair crews—safe. Stay Safe. Stay well away from sites where crews are working. The work may be fascinating, but it’s also hazardous. There is always a danger of electrocution or being struck by debris. If work crews must stop what they are doing to move onlookers out of the way, that slows down the process of restoring power. Report Damage. Report any downed power lines, broken poles or power outages as soon as you can. This helps your co-op assess damage and provide the right equipment and repair crews where they are needed. Current Contact Information. Provide your most up-to-date contact information. An old landline phone number that is no longer in service but remains on your account will make it harder for us to locate you. Terrain Information. Provide helpful information, when needed, to direct repair crews to the easiest or shortest access routes to power lines on or near your property. There may be lineworkers from other electric co-ops who are in the area to assist with power restoration but are not familiar with the area. Don’t interfere with repair crews while they work. That includes asking them to explain what they are doing or asking when the power will be restored at your house. Every minute spent answering those questions is a minute taken away from restoring service. Instead, visit our Outage Map website or social media sites for the latest updates on power restoration in your area. Don’t complain to working repair crews that your power is still out. If you have reported your outage to us, crews are working as efficiently as possible toward restoring power, step by step, in your area. See Restoring your power after a storm. Don’t attempt to assist by cutting fallen trees away from power lines. Always assume a power line is energized and dangerous, even when power is out in that area. Anything touching the line can conduct electricity—including trees, human bodies, vehicles, and the ground—and pose a danger of electrocution.